A comprehensive study on ‘Girls and Women in Prostitution in India’ conducted in 2004 had estimated that there were about 2.8 million prostitutes in the country of which 36% are children. An infamous example is the Bachara tribe, a community from the western part of Madhya Pradesh.They are known for the tradition of child prostitution, with families making their first daughters, as children, into prostitutes to support the family. The tradition is centuries old and is still practiced today. A capacity of about 4000 MW is likely to be added in the 11th Plan through super-critical units of which about 1980 MW has already been commissioned so far. In the 12th Plan, about 50% to 60% coal fired capacity addition is expected to be from super-critical units. They can lead to about 5% savings in fuel consumption as compared to typical 500 MW sub critical units. However, he added that the super-critical technology being a new technology may involve higher capital cost for initial units and a part of the higher capital cost may get offset by savings in fuel. He further said that with new manufacturing entities being set up in the country, there may be reduction in capital cost in the long run. National Minorities Development and Finance Corporation (NMDFC) extends loans to persons belonging to minority communities living below double the poverty line for undertaking self employment and income generating activities. At present families having annual income less than Rs.55,000 in urban areas and less than Rs.40,000 in rural areas are categorized as under below double the poverty line. 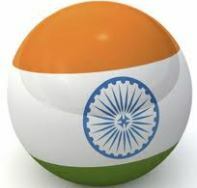 The Global Development Finance, 2011 of the World Bank, which contains external debt numbers for 2009, shows that India’s position was fifth, in terms of absolute debt stock amongst the top twenty developing debtor countries. In terms of ratio of external debt to Gross National Income, India’s position however was the fifth lowest. Debt service ratio is the ratio of debt service payments (principal + interest) of a country to that country’s export earnings. A country's international finances are healthier when this ratio is low. The ratio is between 0 and 20% for most countries.